Week 8 of our linkup and guess what? Laurie and I actually did link up in real life in london yesterday! So how has your week been so far? I will post more about this soon. 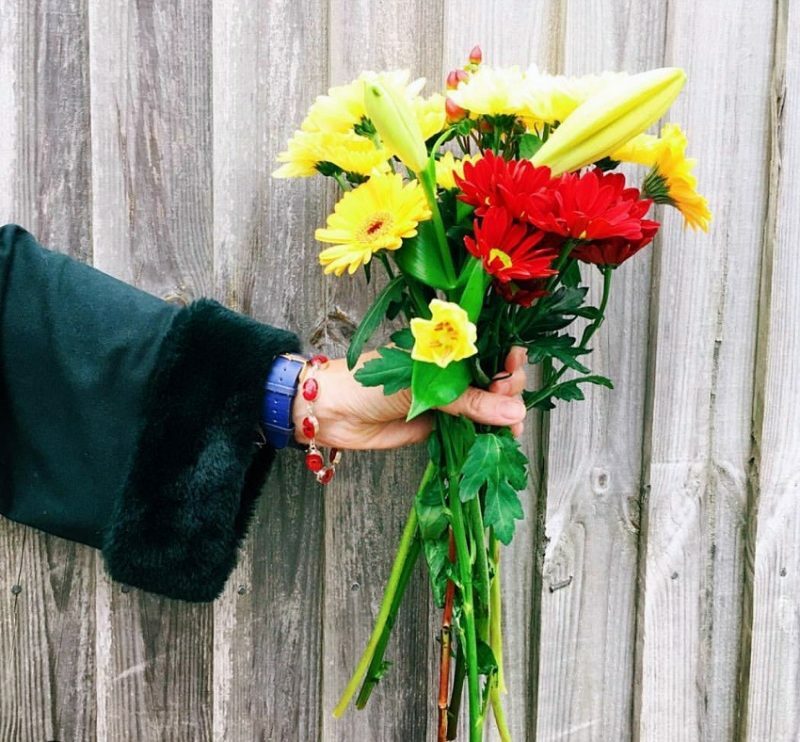 Just before I went away to Morocco I found out this little blog ‘Lazy Daisy Jones’ had been mentioned alongside some lovely other bloggers in a Dutch magazine called Maigret it is the equivalent of our ‘Woman’ magazine. I was very proud to see they like our bedroom and our handmade bed! 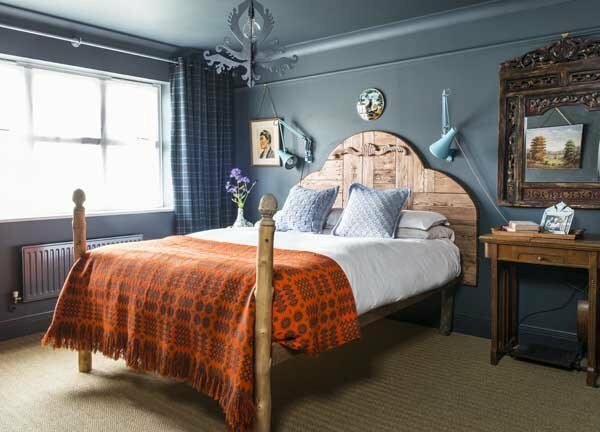 This is the pic of our bedroom that they featured, we made and designed the bed ourselves! Well it can only be the weather, we had a storm called Brian in the UK at the weekend and the rain came down in buckets…but then again if that is all I have to complain about, I will count my lucky stars right? 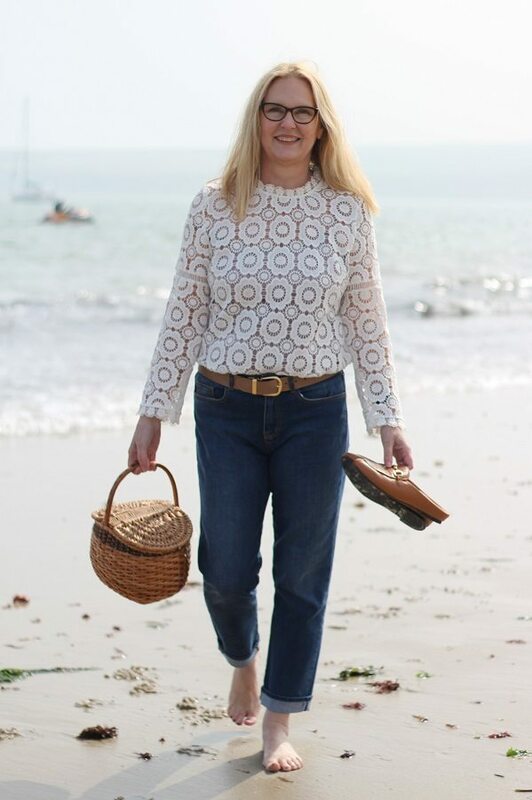 Jonet ‘Fabulously chic over 50’ who wrote a lovely post with a background of pumpkins! Pop over to Laurie’s blog Vanity and me to see who she chose this week? 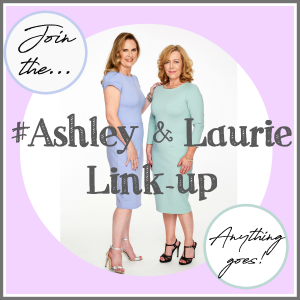 Will you Join us for Week 8 of the #AshleyandLaurieLinkup ? Previous Post My Marrakesh story with Wood Wool Stool. 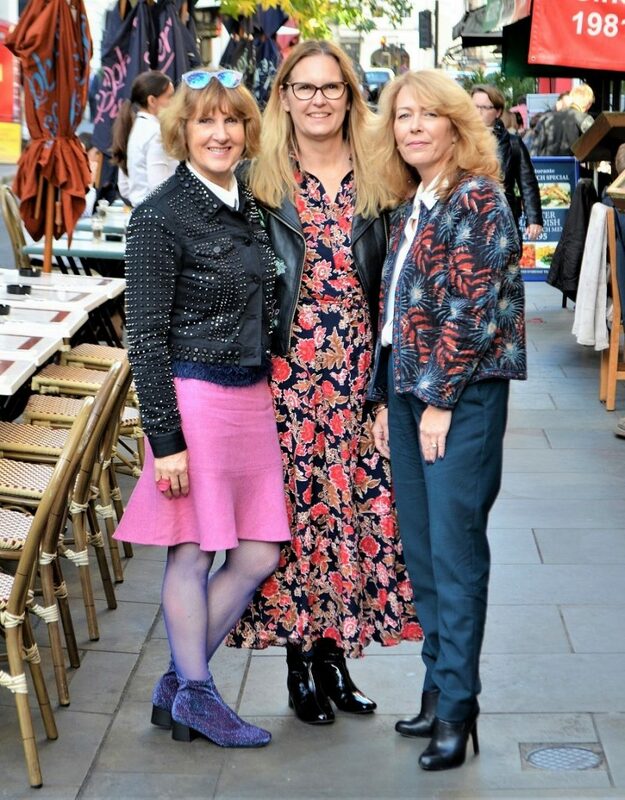 Lovely photo of you, Laurie and Anna! Blogger meet ups are so much fun! Congratulations on the magazine mention, your handmade bed is beautiful! 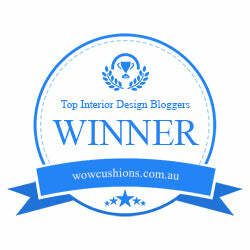 Hi Emma, I love meeting Bloggers I’ve admired from afar, thank you for the compliment re. our bed, its super comfy too! Congrats on the Dutch magazine mention. How awesome to design and build your own bed! Looks like you had a great week! Thanks for the link up! Thank you Amy have a fab weekend! 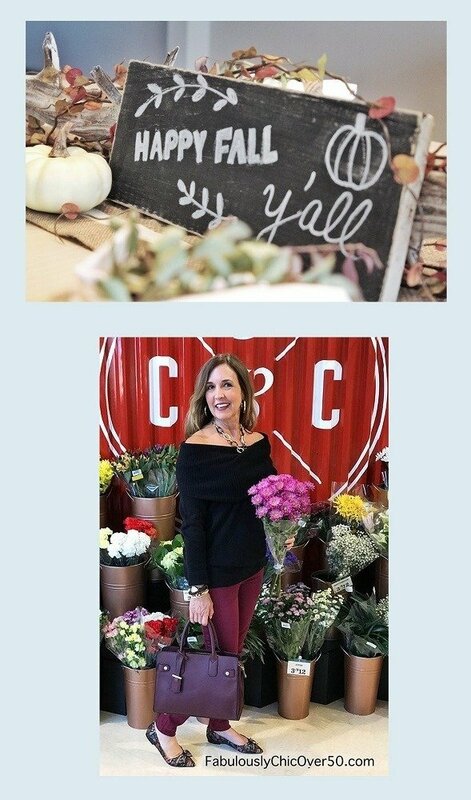 Congratulations on being featured in the magazine! That’s wonderful! And how great to see other bloggers, that sounds fun. Thanks Tiina its fab to meet up with people you know online especially bloggers! That’s so fun that you got to meet up with Laurie and Anna!! I was telling Laurie that it’s the best part of blogging, I think!! And how fabulous with that bed you created!! You are completely amazing! Jodie thank you so much it is one of the best parts of blogging I agree one day it would be lovely to meet you too! Hi Jonet you are so welcome I loved that post! Yay, so glad you two lovelies got together in person! Thanks so much Andrea isn’t the blogging world a lovely one? I love reading about blogger meet ups! Mostly because I love meeting other bloggers in real life! It is the most amazing experience to be able to talk in person. How fun that you, Laurie, and Anna got together! And what exciting news about your feature in a magazine. Congratulations! Helloooo Shelbee! I have only met Laurie once before but I feel like I have known her forever! Anna was the icing on the cake that made for a superb day out! Thanks as ever for your lovely comments always a pleasure to see you pop up on here! Thank you Jacqui have a lovely meet up on saturday too! Laurie will do ! but it may be awhile because he is very busy making lots of stuff for meeeeee!